At the last race of the DTM series on the Hockenheimring circuit in Germany, Audi surprised the fans with an all-new technology: a car that drives itself at high-speed on the track. The system was installed in an otherwise-stock RS 7 and features a lot of tech: first of all, the majority of the work is handled via GPS positioning. A computer receives data via WiFi (a backup system using high-frequency radio transmission is also used) and can calculate where the car is within a few centimetres of margin. An array of 3D cameras then scans the track in front of the car, and compares the images it receives with a database. This enables the car to precisely position itself on the circuit, which is crucial when it is racing down the track at its physical limits. Also: 2014 Audi A7: The Best of Three Worlds? 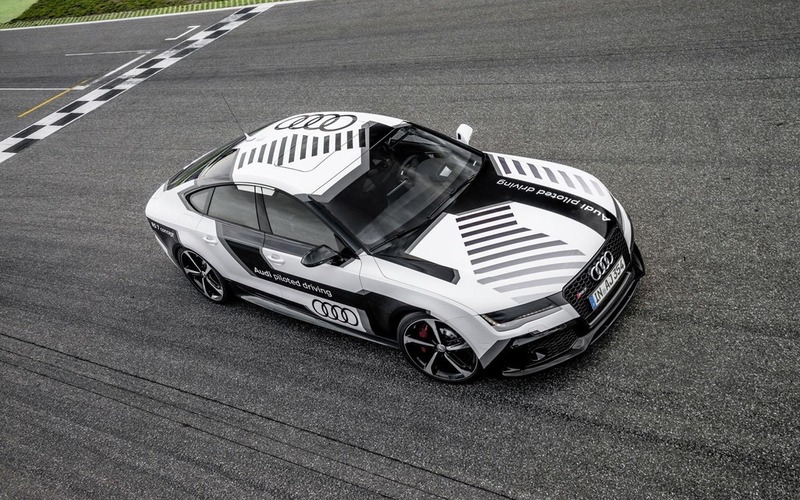 The 560 horsepower RS 7 managed to complete a lap under two minutes, a remarkable achievement even for a human driver. While this technology doesn’t have a real-world application (autonomous car racing would be incredibly boring to watch! ), the engineers at Audi will use the gathered data to perfect their driver’s aid technologies already in use in their high-end vehicles. Test Drives 2014 Audi A7: The Best of Three Worlds? In the last few years there has been a lot of buzz about autonomous cars. The tech has gone from an amusing gadget to a fully-fledged piece of equipment in some of today's cars. We expect that in the coming years driverless cars will travel around town, ferrying us around.